At Richard Kutcher Tygier & Luminais, LLP, our experienced trucking casualty claims lawyers understand the industry and the pressures that trucking companies and their insurers face. We know that our clients cannot afford to appear to be weak in casualty litigation, or else they risk additional costly lawsuits. 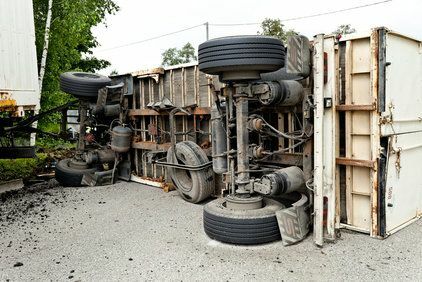 We also handle toxic tort and trucking environmental claims involving our trucking clients and their insurers facing claims arising from highway spills and discharges. Please contact us for a rapid and efficient assessment of your case. Our attorneys are aggressive in the defense of our trucking industry clients' interests. We assist in the investigation of significant trucking casualty claims and will work with internal claims departments and coordinate with the claims manager to plan and execute a thorough defense. In most small or routine trucking casualty investigations, it is simply not cost-efficient for us to become involved, but, when litigation arises our experience and industry knowledge enables us to manage potentially damaging publicity. Protecting your business is our priority, and our reputation is based on our ability to act as good stewards of your business interests, brand and corporate identity. Our firm is proud to be listed on the Trucking Insurance Defense Association (TIDA) rapid response list. Not only can our experienced trucking casualty attorneys assist in the fact-finding phase of the case, but our firm is dedicated to providing aggressive and comprehensive trial representation for as long as it takes to secure as favorable an outcome as possible. To discuss your case in confidence with a respected trucking casualty litigation attorney, please contact our offices.